I can't tell you how many times I have done that in the past, subjecting myself to these crazy mental deadlines - I clearly have a bit of a habit of putting myself under the pump! However, I am very happy to report that Plan: Installation Flooring and Operation Reorganise House were both successful! I swear sheer stubborn will on my part was partially responsible. Not to mention wonderful organisation and hands-on direction from The Provider to our installers, too. Christmas was awesome at Chez Korol and made all the more special for a couple of reasons: the Groovy Grandma was here and summer finally arrived in Sydney - we had blue skies overhead and sun! The boys eventually roused from slumber at the positively decadent late hour of 9am - a clear sign that the occupants of this house are getting older, perhaps? However, the later start to the day was especially appreciated by me as I had only collapsed into bed at 12.30am that morning! All my hard work of Christmas Eve doing loads of food prep paid off - the massive glazed ham went straight into the oven, new potatoes cooked on the stove leaving the large bowl of freshly shelled prawns and prepared cold salads sitting ready to serve in the fridge. Voila! Along with a roast pork neck and baked turkey breast that other members of the family contributed to the lunch, we had MILES of food. Just the perfect build-up before the traditional 'lounging around on the couch in front of the TV' during the afternoon. Noice. 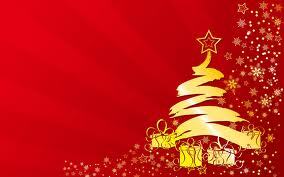 I hope you all enjoyed the Christmas festivities - did Santa treat everyone well? Now we're all looking forward to New Years Eve... I'm so incredibly relieved happy thrilled that there will be no renovating between now and then. LOL. In less than a week I'm having 14 people over to my house for Christmas dinner. We'll toast the day and the season, give thanks for family and friends. The table will be laden with lots of yummy Christmas food, our glasses will be full and afterward, there will be much relaxing on numerous couches positioned in front of the large TV screen, or enjoying the summer sun in deck chairs outside under the pergola. Sounds like the perfect day to me. Currently though, my back two rooms (rumpus and office) are empty and without floor coverings, the requisite furniture usually in them is stacked wherever there is space in and around my dining room. Boxes of folders, office paraphenalia and toys fill the void under the dining table. DVDs and books are piled on any available flat surface, nestled beside the printer, desktop PC and their neatly coiled cords. In short, the house looks like a bomb hit it. Twice. For a gal like me who has a 'thing' about having a tidy house, this is a very challenging state of affairs. It has been really difficult to ignore the mess. And the dust! OMFG. Let me just say we would NOT be passing the white glove test right now. But seeing the concrete floors again reminded me of how life was when we first arrived here. I was pregnant with Son #3 and we'd moved in early to save some much-needed money. The kitchen hadn't been put in, the floors were bare and we'd set up camp in those same back two rooms for three months while the rest of the house was finished. I had an electric fry pan, a microwave and a little gas cooker as my kitchen. (Naturally, the thing I craved the most was a roast dinner but no oven = no roast. *sigh*) It was pretty tough. And now we're on yet another renovation journey. It started with me painting over the facebrick walls and repainting the ceiling. New blinds were installed. Carpet and underlay were then removed in preparation for the new floor. And then... uh oh. The discovery of badly uneven concrete beneath the carpet put a bit of a spanner in the works. Installation of the timber floors had to be postponed... concrete had to be attended to... and much stress occurred at the thought of installer not having any time before Christmas! Gah! However, the Provider came to my rescue yet again, levelling and grinding concrete as needed and arranging for my much-awaited timber floors to be laid this Wednesday. Hooray! That'll leave me just three days to put my house back together before Christmas lunch. *eyes widen slightly* Crikey. I foresee a looong week ahead. But it'll get done. I'll make sure of it! So come on, tell me: who else is stupid insane crazy enough to renovate during the silly season? Okay, I'll admit it. I was supposed to be Christmas shopping this morning. I didn't mean to go wandering through those furniture shops imagining how fabulous all those lovely things would look in my house. Really, I didn't. And I only ended up buying a table runner so the damage wasn't too bad. I can always go Christmas shopping tomorrow. But while I'm at it, I have a question. Can anyone tell me why nearly every homewares/furniture shop I went into was packed with decorator items of a French flavour? I'm talking chock-a-block full. Everywhere. I almost expected to hear 'Non, Je Ne Regret Rien' burst forth from the stores' music speakers, it was so prevalent. Nothing personal against the French of course, I love France and her people (especially my French friends!) 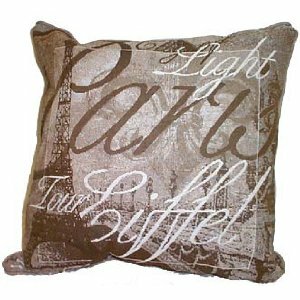 but for the life of me, I can't see why shops seem to think Australians want (or need) to fill their houses with metal replicas of the Eiffel Tower, framed prints of French cafe scenes, distressed French Provincial white furniture or fleur-de-lis print decorator pillows. Is it because designers think we need to make ourselves feel sophisticated? Spend 'X' amount of dollars, whack a French print up on the wall and voila! Behold your instant chic! Surely we are a little more refined than that. (Ignores the invariable 'Aussie Aussie Aussie! Oi Oi Oi!' chorus going on in the background, lol). Hmmm, who knows. At any rate, I'll stick with my (mostly) unbreakable metal sculpture pieces, picture frames and candles. In a house full of boys, that's about as sophisticated as it gets around here. I live in a male-dominated household. Three sons, one husband, one dog. It's like total bloke city here. The only splash of pink in an all-blue landscape comes from me. Sometimes it feels like I'm trapped in one of those American frat houses; the noise level is loud, toilet humour rules, household cleaning (by them) is virtually non-existent and the television is permanently tuned to Channel Crass & Puerile. It can be a hard row to hoe. A real tough ask. And my boys ask for plenty! Like last week, when, as much as I love them all to death, I got to the point where I simply needed to be somewhere else... anywhere other than here. I needed a break. Away from them. So I could be myself other than Mum or The Wife. To laugh. To relax. Drink wine/gin/cider/coffee. Hell, possibly all of the above. 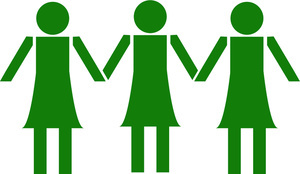 But mostly to be around my 'girls' for a spell. Because they 'get' me. They understand how I get tired of wiping the toilet seat before I sit down to avoid getting pee all over the backs of my thighs. They are familiar with the irritation I face seeing that empty cardboard roll on the toilet roll hanger. They empathise over the need for constant replenishment of food supplies at my house. They share and promote the belief that deodorant is designed to be sprayed under clean armpits, not all over clothes. They know all about late nights. Early mornings. Sleep depravation. Pressures and stress. The good times to be had. And occasionally, the bad. "Can you believe it? 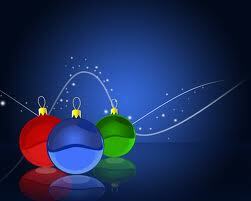 Christmas will be here in less than 6 weeks!" I overheard Chirpy Blonde Chick gleefully impart this little gem to Mini Skirt Mum while grocery shopping the other day. MSM's reaction was to smile serenely as she caressed the heads of her two perfectly behaved toddlers. "Oh, I know!" she gloated. " I only have one more present to get and I am done!" The self-righteousness emanating from her was was like a slap in the face for my whole day. Made me almost hope her kids threw a sugar whammy in the lolly aisle out of spite. Because how dare she remind me about Christmas? I had plenty of time to get sorted. It was still ages away, wasn't it? Reality came crashing in via a burst of mild panic. Dear God. Only SIX weeks? What the hell happened to October? My brain still hadn't wrapped around the idea of Christmas, let alone start to plan for it. And yes, this was in spite of all the decorations in the shops and the half-a-forest's worth of junk mail that has been spewing forth from our mail box for weeks. I have been the master of ignoring it all. Too many other things to worry about, I've been all 'I'll deal with all that stuff later, much MUCH later.' But like Demi Moore and Ashton Kutcher, I couldn't ignore any longer what was obvious to the entire planet. Fortunately, the ever-Sanguine & Sensible Sarah took over with a "FFS, Snarky. 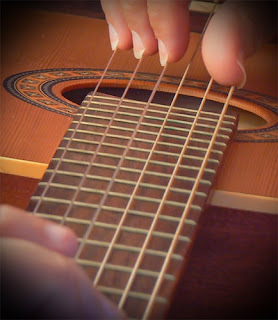 Do that and Santa will give you a lump of coal instead of a present." That left only one other option: I grabbed a large tub of icecream before throwing in some chocolate fudge brownies for good measure and stalked out of there, head held high. Which brings me to here. No longer in denial. 6 weeks and counting. Are you ready? I will be. Somehow. I may not be Mini Skirt Mum who is so uber-organised she has virtually all her presents bought, wrapped, labelled and hidden away already, but I will get there. 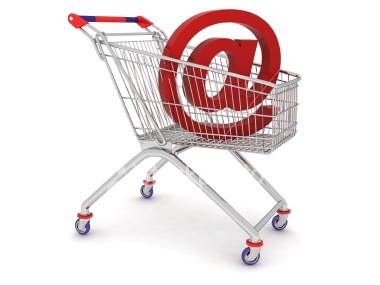 If all else fails I know I can hit the shops and get it done in a couple of days - the secret is all in the planning. It's like intense shopping on steroids. Crucial to this method is a plan, good stamina, a pair of comfy shoes and your nearest mega mall. Problem sorted. Nothing says 'summer' to me more than a refreshing mouthful of its rosy pink flesh, served straight from the fridge, sliced and ready to eat. Absolutely delish! The boys and I enjoyed a huge melon feast after arriving home from school yesterday. The weather was hot, we were all sweaty after the trip home and a serving of ice-cold watermelon was the perfect antidote for a humid afternoon. And although the watermelon was devoured within 10 minutes of being set down on the table, it was still long enough to share a conversation about their day before they inevitably drifted off to seek other diversions (PS3, TV and/or playing with action figures). Which is why I love watermelon. For a multitude of reasons. I'm a closet list maker. Are you? There's not a day goes by that I don't have a hastily scribbled list of things I need/want/would like to do during the day. 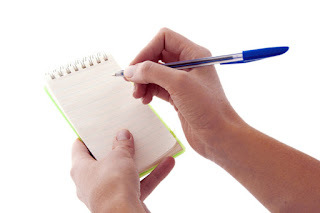 And while I don't always get everything done on that list, I figure I'm less likely to forget it if I write it down. I have all kinds of lists around my house. Grocery lists, home renovation project lists, work-related lists, and Christmas presents/cards/usual family letter lists. Countless notepads have met with my trusty pen. And I know I'm not the only one. I have a girlfriend who writes down lists of things she hasn't managed to get done and leaves them in the fruit bowl. Her husband knows there's always something to do if there's paper in that bowl, so he picks a list and does what's on it. You have to like her style. Clearly, she has him well-trained. Of course, this method only works if you have a husband who has the ability to realise what those bits of paper are there for. LOL. I'm a big advocate of lists for my kids too. Whenever they want extra money for things (which, hellooo, is all the time!) out comes a list of things they need to do before they get it. Eliminates the need for them to think, you know? It's more a case of don't argue about it, just do it, okay? 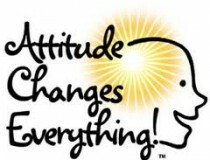 And without the attitude too, thanks. Lists are pretty much a necessity for a multi-tasker like me. Otherwise I'm likely to get distracted by all the chitchat happening on the internet. Or by the pile of unwatched quality drama I have sitting on my hard drive. I can scan the list for the day, know what I need to get done by school pick-up time and get stuck in! After that, my time is my own. "Mum! I need my baseball uniform washed by this afternoon!" "Yes, love, I know... it's on the list." "Mum? My school shoes are too tight." "Oh God, are they? Okay, I'll put it on the list." "Honey! I need you to buy me some more pants for work." 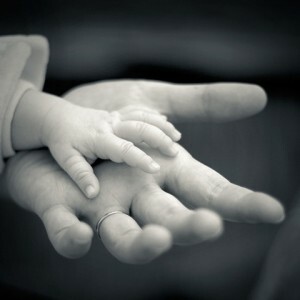 "No worries, darl... I've got it on my list." "Mum! There's no more BBQ sauce in the fridge!" "Okay, mate... on the list!" Of course, there are times when things don't always go to plan. "Spencer! Stop chewing my list!" Honestly, I do try but there are only 24 hours in a day and sometimes they don't stretch far enough. And you know, by the time I did the washing, bought new school shoes, did some paperwork in the office and went to the Workwear shop, I ran out of time to go grocery shopping. We can live without BBQ sauce for another day, can't we? But don't worry. Crikey. Who'd want to be booked on a Qantas flight right now? Thousands of people all over the globe have been caught short, unwittingly becoming casualties of a long-running industrial dispute between management of Australia's national carrier, Qantas and several of the workers unions here. Through no fault of their own, passengers have found themselves stranded at airports for an as-yet undetermined period of time after the entire Qantas fleet of planes worldwide was grounded without warning yesterday. Virgin, Jetstar and Tiger Airways must be smiling all the way to the bank. This grounding is unprecedented in terms of industrial disputes. CEO Alan Joyce is definitely playing hardball with this escalation. The immediate cost to Qantas is $20 million per day, every day the planes stay grounded. Long term though, the damage to their name and reputation as well as compensation to passengers could make this figure seem minuscule. Already there are hundreds of disgruntled people swearing they will never fly Qantas again. Ever. Not good news for the flying kangaroo. Hardly the 'Spirit of Australia' now is it? So what's it all about? On one hand, we have Qantas who say restructure was necessary to make their business financially viable by out-sourcing some operations overseas and ultimately protecting the commercial longevity of the company. On the other hand, we have a group of unions saying that they are only protecting the basic rights of their workers and stopping Australian jobs going overseas. And in the middle, we have the flying public who are trying to get on with their everyday lives but becoming understandably upset because THEY seem to be the only ones paying the price. Air travel has changed a lot since I was a kid. It's a much less expensive option compared to what it used to be. I was 21 the first time I ever flew on a plane whereas my boys have flown many times already (they don't know how lucky they are!). The internet and globalization of competition has forced airlines to streamline their operations to compete for a share of the available market. It's like anything else. I mean, who hasn't shopped around for cheap flights? I know I certainly have. But you know what? 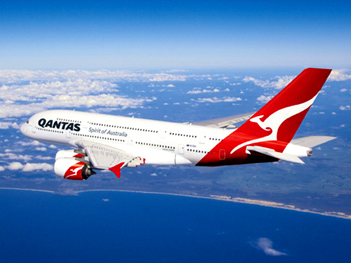 I hardly ever flew Qantas because their fares were usually one of the dearest. Food for thought, right there. I don't have a lot of personal experience with unions as I have always worked in private enterprise. And to be honest, I'm not sure that I'd want a body of people speaking for me anyway. I like being able to do what's right for ME, not what's right for most. Unions by their very nature seem to stir things up, not keep things running smoothly, at least that's my perception of them. In private enterprise, you don't get to say: "I'm going on strike until you give me what I want." You either have a conversation with your boss and come to an agreement, or you tough it out until you find something else. When you have bills to pay, there simply isn't any other option. And to think we used to treat this experience as character building! I do wonder how this will affect Australia, in general, though. If it isn't sorted out in the very near future, the ramifications for the tourism industry alone, one that has already experienced massive hits this year, could be immense. Queensland Tourism especially, must be worried about how this will affect their livelihoods. As you might imagine, talks to end this dispute are going on right now. Let's hope someone has the sense to come to an agreement, sooner rather than later. The flying kangaroo might end up going walkabout if they don't. Never has a game of rugby been so hotly anticipated by so many. Who would be the Rugby World Cup champions for 2011 - Les Bleus or the All Blacks? From Auckland to Avignon, Peru to Port Elizabeth rugby fans across the globe gathered en masse, either at Eden Park or tuned in via the nearest television set. What they collectively witnessed was a heart-in-your-mouth Battle Royale that took hold and violently shook the earth, so fierce was the fight, so close was the scoreline. Minute after nerve-wracking minute the Pendulum of Victory swung back and forth, teasing the viewing audience without mercy for the entire 80 minutes. OMG, it was intense. Millions hardly dared to breathe whilst desperately hanging on to the very edge of their seats, so transfixed were they by the match unfolding before them. At least that was the case at MY house. I couldn't sit still during the game, almost driven to watch between my fingers at some stages. All Black coach Graham Henry had commented earlier in the week about the upcoming final. "This French team, we are not sure who is going to turn up, quite frankly, so we have got to prepare that they're going to be the best in the world." This statement would turn out to be one of the most astute observations printed by the media. France had not played particularly well up until now, losing twice during the earlier pool rounds (including a shock loss to Tonga) and had barely squeaked through their semi final against the Welsh, who were playing with a man short after their captain was sent off for a dangerous tackle. However unlike the majority of the press who'd written them off as the the 'worst rugby team ever' to make a RWC final, the All Blacks squad contained many who knew only too well how dangerous it was to underestimate a French team. Especially during a World Cup. Remember Cardiff, 2007? We were nervous, and rightly so. From the very start, Les Bleus showed the world they meant business. No matter what anyone said, they were here to play. 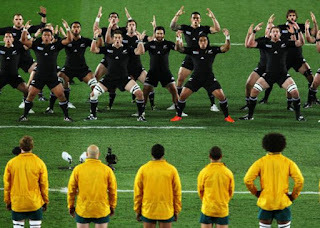 And it was during the haka, when the French joined hands and stood in a 'V' formation before defiantly striding toward the All Blacks in a shock move, that the hair on the back of my neck stood straight up. The French were not only accepting the challenge but were issuing one of their own - this had the makings of one hell of a game. And so it began. Tough, grinding rugby with no quarter given by either side. Brute force vs passion and guts; the blood bin was kept busy yet again. The All Blacks lost yet another man at No. 10, the brave Aaron Cruden hyper-extended his knee during the game, bringing on our 4th backup five-eighth, the much-maligned Steven Donald. Two weeks prior to this he'd been whitebait fishing on a river near his home, about as far away from top-level professional rugby as you can get. But now there he was, smack bang in the middle of the pressure cooker, preparing to face the heat of the World Cup final cauldron. With time ticking away, he stepped up for a penalty kick and cool as you like, slotted it over the crossbar by the right hand upright. All Blacks were in front, by ONE. The rugby-mad public cheered long and loud for their new hero - Steven will be the Duck no more! After 80 exhausting minutes with all participants nearly out on their feet, the referee's whistle thankfully brought this almighty battle to an end. 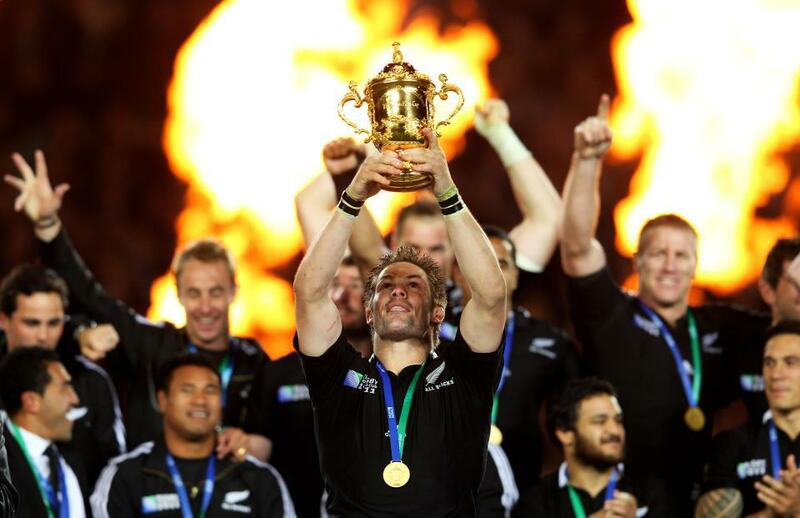 The journey was over - the All Blacks triumphant!! It had been close but in the end, the solidarity of belief held by our boys had been the difference. Mistakes from the past had been learned and nothing was left to chance. The French could go home with their pride intact; they had deserved their place in the final but had been denied by a team who ultimately wanted it more. 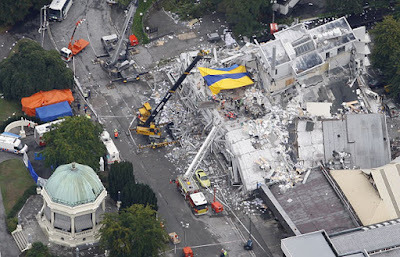 This was a wonderful win for the AB's and for all the fans but as Richie McCaw pointed out, it would be held especially dear by the many thousands of people in New Zealand affected by the Christchurch earthquakes and the Pike River Mine disaster. Now there would be something to smile about. trophy in triumph as a country rejoices with him. So very proud! This was the moment I had been waiting for. 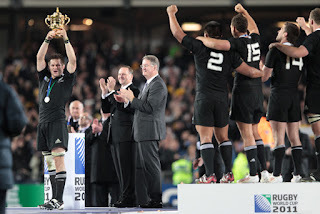 And yes, I'll admit it, I had a few tears in my eyes watching Richie McCaw lift that cup over his head, although his aching arms must have felt like lead by then. And then there was that fantastic typically Kiwi moment during his post-match interview when he told the world that he was 'absolutely shagged' after his efforts. LOL. The crowd, naturally, roared their utmost appreciation. We loved it. What a wonderful end to a marvellous tournament. My heartiest congratulations must go to the victorious All Blacks on finally achieving their destiny. You did us all proud and we love you for it. We'll be there to cheer you all on again in London in 2015. 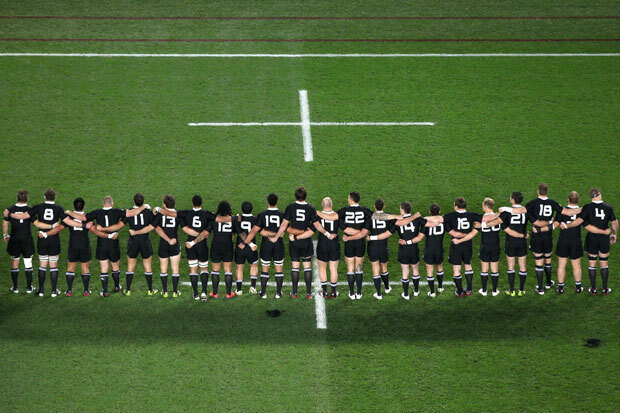 All Black fans were treated to an incredible 80 minutes of rugby on Sunday night. 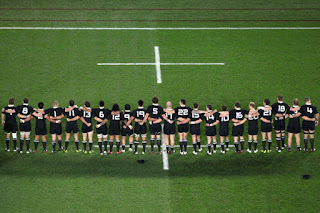 If anyone was still unsure about the state of the All Blacks game during the singing of the national anthem, those worries should have vanished when the camera panned down the line of players. All were calm. Focussed. Steely-eyed with fierce determination. 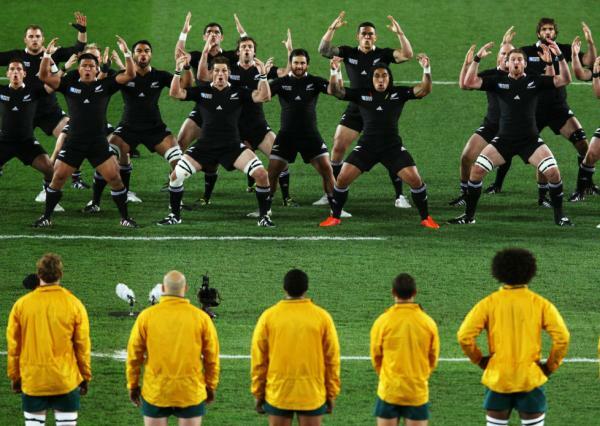 And that was even before they did the haka. WHOA. Every. Single. Man in Black. Was as one. This should have been a red flag in the minds of the opposition who were perhaps still luxuriating in the memory of their performance of the week before. 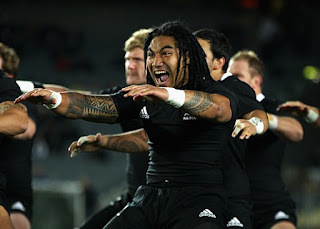 The ferocity and passion of this haka was a clear standout - All Black muscles were bulging, blood was visibly pounding and the ground shook with intent. Truly something very special. ﻿Consequently, right from the moment Quade Cooper's first kick went out on the full, it was on. The All Black machine roared into action, sucking up Wallaby players and spitting them out in relentless fashion. It was, as one scribe wrote, like "a wave of black magic crashing relentlessly upon green and gold shores." The intensity, speed and clinical efficiency at which they took control of the game, grabbing it by the throat, was nothing short of awesome. Fans everywhere were ecstatic. This was the performance we had all yearned for. 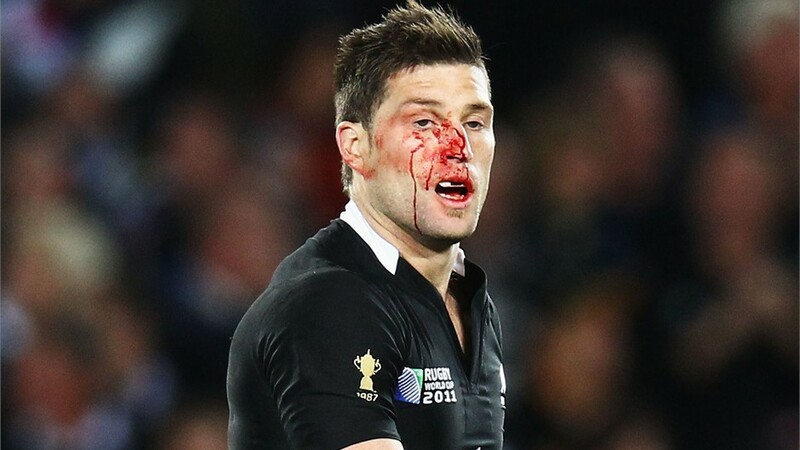 Cory Jane - bloodied but unbowed, Man of the Match! Friends of this blog will know I've spoken before about the type of men who proudly wear the black jersey. They are a rare breed of elite athlete, willing to subject their bodies to all manner of physicality in order to bring honour and pride to their country and its people. Men who will shed blood, sweat and tears on the way to their goal. Men who welcome the challenge and embrace it. I hope they know how much we love them because of it. But our World Cup journey is not over yet - there is the not-so small matter of beating France in the Grand Final. Coach Graham Henry reminded us all about that earlier this week: "We've got to come down, get to base again, clean sheet of paper and build for this Test match on Sunday against the French." Quite right, Graham. Don't want to count our (French) chickens before they've hatched, do we? Been there, done that! So there'll be no celebrating from me just yet. I'll wait (nervously/excitedly) until the final whistle on Sunday night. After that, who knows! 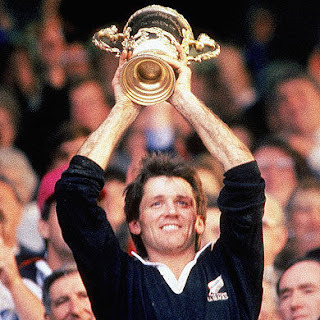 My neighbours should consider themselves warned - if I actually do get to see Richie McCaw raise the William Webb Ellis trophy in the air this weekend, it may get a little rowdy around here, lol. GO BLACK!! BRING IT ON HOME! Manners... coming to a house near you! An adult walks into a room in a not-too large centre where children are attending a physical activity class. The back wall is lined with chairs and all of these are full with people, both young and old. About half are parents with their other children, many of them pre-schoolers; the other seats are taken up by older students waiting for the next class to start. The lone adult looks along the wall of chairs in the slim hope of finding a spare seat; her fruitless search is noted by most of the seated spectators. BUT... and here's the reason for my post today. Not one of those children stood up to offer their seat. That was bad enough in my mind, but worse, not even a parent prompted their child to relinquish their seat either. Instead, their backsides all remained glued to their chairs while they pretended not to notice and eventually, the adult chose to sit on the carpet for the duration of the 45 minute class. I saw this happen a few months back and it honestly made my blood boil. I literally had to bite my tongue to stop myself from asking the parent next to me: 'Aren't you going to tell your 3 year old to give up his seat? He's not even sitting still anyway, ffs, etc.' You know, as you would. But it really irked me. And I couldn't stop thinking about it on the drive home. 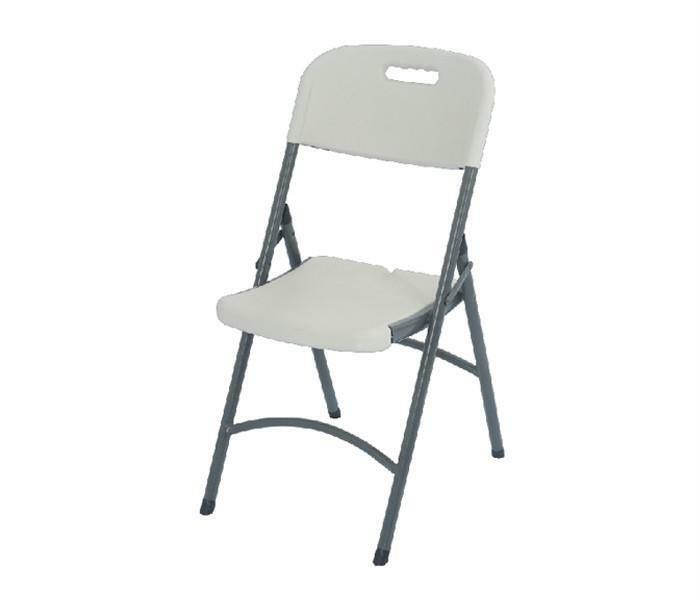 I sound rather old-school, I know, but when I was a kid, I was taught to show respect for my elders and one way to do that was by giving up my seat; it was rude to sit if they had to stand. 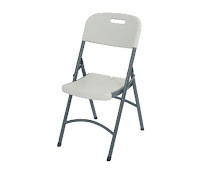 To this day, I can't NOT stand up. It's almost ingrained in my psyche. But people don't seem to be like this anymore. I know things change over a period of time; that's normal and in fact, to be welcomed and expected. But at what cost? How hard is it to say please or thank you, open a door, help an old lady with her groceries, let a driver move into the lane in front of you, or simply give up your seat? It's not hard, of course, at all. And, in an amazing co-incidence, it costs absolutely NOTHING! How many things in life nowadays can you say that about? "Common courtesy -- Makes sense, costs nothing." Anyone who knows me well will attest to the fact that I absolutely love to travel. I've noticed this love affair with travel seems to be increasing as I get older -- I'm reasonably sure that has some kind of significance -- and I've been very lucky to have racked up quite a few frequent flier miles over the last couple of years. Here though, is the reason for my trip -- cast your eyes over this picture of the totally edible tootsies belonging to the delicious Sweet Pea, my 10 month old niece. Gorgeous, isn't it? She has grown so much in the months since I saw her last -- a little personality shining through -- this will be a girl who does NOT want to miss a thing, let me tell you! A credit to her parents, the Sweet Pea is truly a beautiful wee person, with the winning combination of a cheeky grin and her mother's stunning blue eyes, all framed by a riot of golden hair. 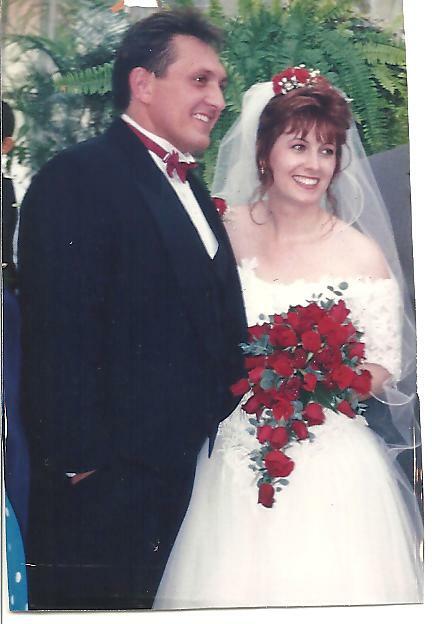 On this day sixteen years ago, I said those very words to The Provider while holding his hand - and then giggled. It was the first of many that day - the laughter bubbling to the surface over my attempts to slide the band of gold smoothly over his not-so-tiny knuckle! These are the perils of marrying a man with 'tradesmen's hands'. It was a small but memorable moment from a special day that makes me smile every time I think about it. But wow, sixteen years. Lookit us!! The Provider and I are not huge givers of anniversary gifts to each other. It might be a little cliche, but we try to spend some alone time together over a glass of something special. However, I was curious to know what the suggested anniversary gift was for 16 years and decided to check it out. According to Google, there are many variations on presents - the traditionalists nominate Topaz as the gift of choice; the modern set are all about silver hollowware. However, if neither of these are your cup of tea, don't fret! There is an alternate choice offered as well (isn't there always with these things? LOL) Apparently periodot or aquamarine gemstones are for those who like to think outside the square. You heard it here first. There was one other choice, although personally, I think this is probably more for the man who only remembers on his way home from work and dashes into the corner shop or service station to grab something quick -- it was a nice bunch of flowers (hopefully with the price sticker taken off the wrapping). Have you ever seen rain? Large parts of Queensland and northern New South Wales have. And Victoria is next in line. It was a deep, soaking and constant rain that literally fell within hours, quickly swamping ground already sodden from higher than usual December rains and rising to levels not seen in this country for over 100 years. The ensuing devastation and loss happens with a ferocity that surprises and shocks a nation. Journalists are left grasping for adjectives to adequately describe the growing crisis, government authorities are stretched to the absolute limit, the death toll rising to 12 and grave fears held for a number of people still missing, their whereabouts unknown. 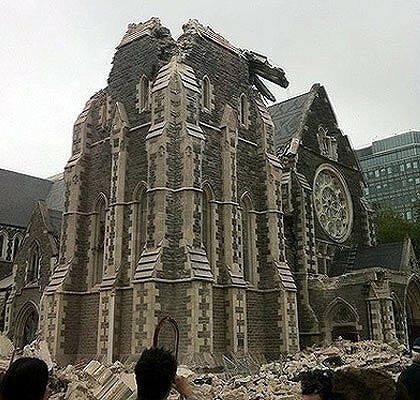 It's been one helluva scary demonstration of the force capable from Mother Nature. I'm sure I can't be the only one who thinks she's been wreaking havoc more often than normal lately too, and on a global scale. Where are all those climate change sceptics now, hey? My thoughts are with all those affected and I hope, for their sake, the water recedes soon so the massive clean up task can begin. It's going to be a bloody long haul to repair the damage. Let's make sure we all do what we can to help them. YOU'RE the one who doesn't get it. I read the news today, oh boy (points for anyone who knows the artist and the song title) and had an unrestrainable urge to reach for my laptop. Certain business CEO’s need to think twice before they open their mouths, especially when they spout off ridiculous statements in the media. Read this article and you’ll see what I mean. Apparently Gerry Harvey (billionaire - owner of retail giant, Harvey Norman) thinks savvy shoppers ‘are un-Australian’ for buying cheaper goods overseas via the internet. Quite frankly, I am OUTRAGED by this - how dare he impune my patriotism or tell me where I should shop? Talk about a hypocrite. I’m not an idiot. And let me tell you, Gerry, nor are the Australian public. We have mortgages or rent, kids to house/educate/feed and household bills to pay. Every cent of our hard-earned cash counts. So why wouldn’t we be choosy about where and how we spend our almighty dollar? Wanting a better deal isn’t un-Australian, Gerry. It’s the only way most families can manage to get by nowadays. We don't have pockets as deep as yours. Harvey Norman has gouged millions from the Australian public by selling imported goods made in China over the last two decades, destroying many small locally-owned and operated businesses in the process. Those little stores you sent to the wall weren’t big enough to buy in bulk and sell their goods cheaper. How many job losses did you cause this way, Gerry? I’ll hazard a guess that this never came up at any of your board meetings. And yet you have the nerve to tell us to spend more at Harvey Norman for the ‘good of the nation’?? Let’s cut to the chase, shall we? It’s more like for the ‘good of your bottom line’. The thing is, Gerry, people want Quality, Service and Value For Money, three things that are sadly missing from your stores. Why would we want to pay an over-inflated price for a cheap and inferior product made in China when we can get much better quality buying the same thing online for up to 60% less? And that’s including delivery and impressive customer service. You should take note! It’s a free market global economy, Gerry. The internet has made this world a lot smaller and consumers are quite rightly relishing the savings by letting their fingers do the shopping. This trend is not going to go away no matter how much you’d like it to. YOU need to get with the programme and realise that it’s not about tax - it’s about the excessive mark-ups big retailers like you have been slugging us with for years, while trying to convince us that we’re good Australians for keeping our money in the country. The thing is, Gerry, we’re not ‘buying’ it anymore - if you’ll pardon the pun - because finally, thanks to some welcome competition in the retail sector, we don’t have to. The public will vote with their feet and their wallets - so stop whinging about the money you reckon you’re not making and start being dinky di – maybe then you’ll have a point. Until that happens, you and your fellow Big Business CEO’s can bang on all you like about the playing field being 'unfair' for the big end of town. No-one’s going to listen. Least of all ME.